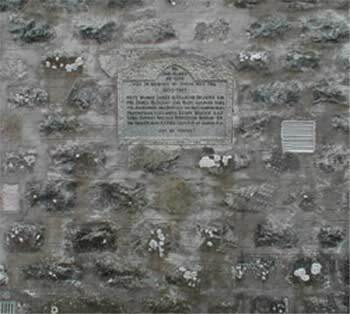 The memorial to The Fallen of WW2 was originally set into the side wall of Kennethmont Parish Church and was located directly in front of the entrance gate. Following the closure of our Church it was moved to a new location in the adjoining Churchyard in 1995 and was re-dedicated by Rev John McCallum. 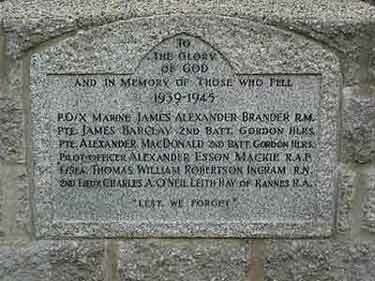 P.O/X Marine James Alexander Brander R.M. L/Sea Thomas William Robertson Ingram R.N. 2nd Lieut Charles A O'Neill Leith-Hay of Rannes R.A.